Startup Estonia has compiled a valuable crowdsourced overview of the different startup support organisations and service providers in and around the Estonian startup ecosystem to help make the navigation on the Estonian startup scene as easy as possible for the startups already in Estonia as well as for those wishing to relocate to Estonia. The freshly created overview includes almost 70 organisations and programs in 9 different categories from legal to R&D, from marketing to higher education. All of the organisations and programs that are brought out in the overview have a proven track record of working with startups and providing them with significant value. "The motivation for the project came from another crowdsourced database following the progress of Estonian startups since 2006 until this day, keeping an eye on the Estonian startups by their year of founding, how much funding and where they've raised, which startups have been unsuccessful and which have exited successfully," says Mari Vavulski, the Head of Startup Estonia. "However, we saw that the other side of the Estonian startup ecosystem, the service providers and support organisations side, was still unmapped but highly necessary and sought after so we decided to compile this material with the help from the startup community." As an example, the mapping allows for a better overview of the different options available for startups to choose the best incubation and acceleration for themselves - a total of 26 organisations and programs support new ideas and technologies from the ideation phase up until helping them to prepare for raising funding. These vary from intense 48 hour hackathons by Garage48 where a product, service or a prototype is built to more profound programs and incubators ranging from 2-month to 2-year programs. Estonia offers options for specific startup programs as well from Buildit hardware accelerator in Tartu for hardware startups to Vunk startup labs in Tallinn for B2B and B2C startups seeking to partner with Telia. "We have a growing amount of inquiries from foreign startups as well as the very early phase Estonian startups to help find or provide them with information about suitable programs, office spaces or legal help they need for establishing or growing their startup in Estonia. We hope that generating this overview is a good start to a more thorough database to grow either out of it or parallel to it," added Vavulski. The Estonian Startup Ecosystem overview maps a total of 69 programs, organisations and service providers: 26 in support organisations and programs; 11 different service providers from consulting to software development & prototyping; 8 higher education institutions; 17 in funding and financing; and 7 R&D institutions. Startup Estonia is governmental initiative aimed at supercharging Estonian startups possessing the potential to take on the world. 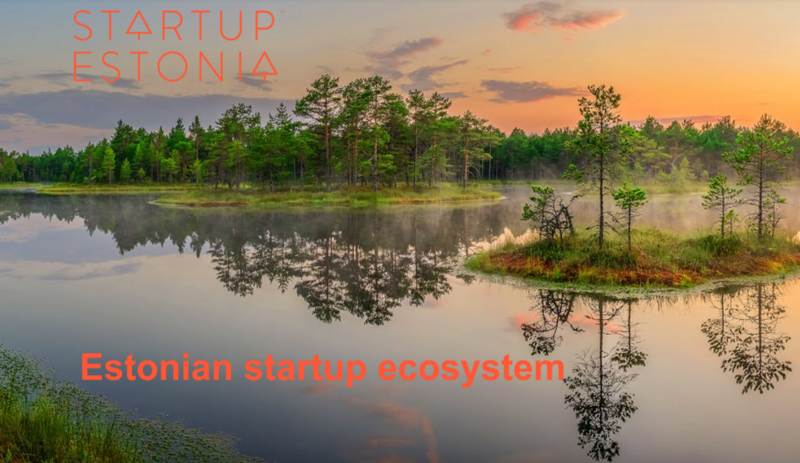 Today, Startup Estonia divides its activities into 4 categories: developing the Estonian startup ecosystem, educating the startup founders and employees in areas they currently lack certain knowledge, working on educating the local investors and eliminating regulative issues.